Daniel R. Tomal, Ph.D.is a Professor at Concordia University Chicago teaching educational leadership. He is a consultant and an author of ten books such as Action Research for Educators and Challenging Students to Learn by Rowman & Littlefield Education, and has made guest appearance on many national radio and television shows. Craig A. Schilling, Ed.D. is an Associate Professor at Concordia University Chicago teaching education finance, law, human resources and school business management. He has served on a number of state and national associations and spoken at state, national and international conferences. Why do we have accounting systems? The authors have provided an outstanding book that trains to understand school district financial, facility, and human resources using clear, concise, and concrete examples that are easily grasped. This book should make a significant contribution to all school leaders who desire to improve their school resource management. It is one of the few books I will keep handy and read more than once. I’m confident that those who read this book will find it valuable and insightful. This book provides a comprehensive and excellent overview of Financial, Facilities and Human Resources and is valuable for all public and private-school administrators. As a school principal, superintendent and business manager for the past thirty years, I believe Drs. Schilling and Tomal present a practical and refreshing aspect to School Resource Management for the experienced and novice administrator. An outstanding research-based book for all school leaders and graduate students...the most thorough resource for financial, facility, and human resource management. It is refreshing and time to see a book on resource management including human resources. This book provides valuable insights and perspective from two of the top minds in the profession. This book should be read by every current HR and Financial professional and be required reading for certification courses. 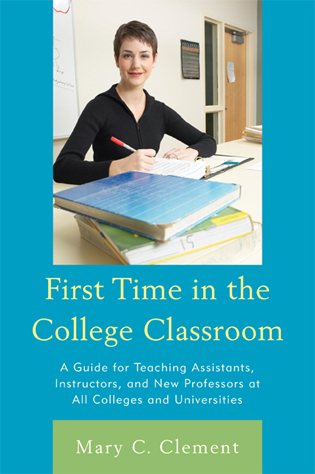 This relevant and comprehensive book provides an excellent resource for active school administrators or students in training to be school administrators. With a focus on the practitioner, the authors have provided a basis for understanding the profession. This book is a ‘must have’ book for anyone who desiring current information on School Resource Management. Resource Management for School Administrators is the only comprehensive book covering all school resources---fiscal, facilities and human resources. Each chapter has objectives that are aligned with the new ELCC and ISLCC standards on accreditation. Many of the federal and various state policies and laws are included. Everything you need to know on managing school resources are covered: national and state perspectives, future challenges to funding public education, resource allocation, developing a school district budget, sources of revenue, accounting budgeting and reporting, financial statements, allocating resource for higher student performance, human resource, laws and policies, compensation, facilities and auxiliary services and safety and security Each chapter contains a comprehensive case study and exercises for easy application. This practical book will be useful to all school leaders who are trying to improve their school resource management.